Here we are going to see solutions of 7th grade math worksheets 2. A certain freezing process requires that room temperature be lowered from 40°C at the rate of 5° C every hour. What will the room temperature 10 hours after the process begins? It reduces the temperature level at the rate of 5°C per hour. Hence room temperature after 10 hours is -10°C. Related web page "Add and subtract word problems". In a class of 40 students 1/5 of the total number of students like to study English. Then how many students like to study English? In which 1/5 of the students would like to study English. Hence the number of students who would like to study English is 8. Related web page "Multiplication word problems"
A two wheeler covers a distance of 55.3 km in one liter of petrol. How much distance will it cover in 10 liters of petrol? Related web page "Time and distance"
The ages in years of 10 teachers of a school are : 32, 41, 28, 54, 35, 26, 23, 33, 38, 40. What is the range of ages of the teachers? Hence the range is 28. Related web page "How to find range"
Hence the value of p is 9. Related web page "Solving linear equations"
The teacher tells the class that the highest marks obtained by a student in her class is twice the lowest marks plus 7 . The highest score is 87.What will be the lowest score? Hence the highest mark is 40. 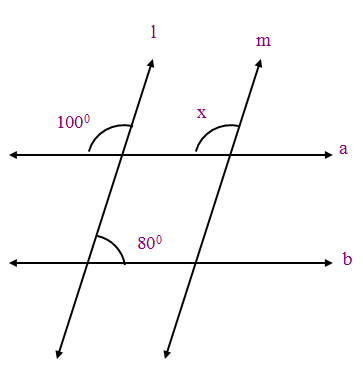 Related web page "Framing equations from word problems"
Find the angle x in the following picture. 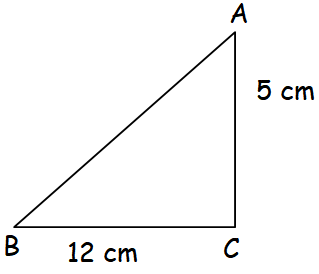 Related web page "Lines and transversals"
In triangle ABC right angled at C. If AC = 5 cm and BC = 12 cm find the length of AB. 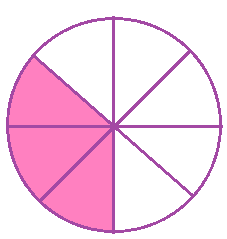 Related web page "Find the length of missing side of triangle"
Let us look into the solution of next problem on "Grade 7 math worksheet 2 answers"
Find the percent of the following picture which is colored. The perimeter of a rectangle is 130 cm. 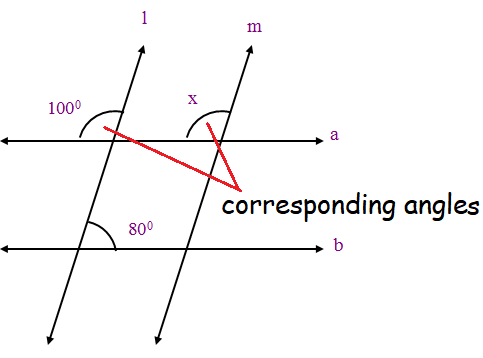 If the width of the rectangle is 30 cm, find the area of the rectangle. Related web page "Perimeter and area word problems"
After having gone through the stuff given above, we hope that the students would have understood "Grade 7 math worksheet 2 answers". Apart from the stuff "Grade 7 math worksheet 2 answers", if you need any other stuff in math, please use our google custom search here.